NEW YORK — House Democratic Leader Nancy Pelosi called pro-lifers ‘dumb’ during her acceptance speech this week as she received the Margaret Sanger Award from the nation’s largest abortion provider. Pelosi was speaking about the personhood laws that have been presented in various states and the corporate opposition to the Obamacare abortion pill mandate. 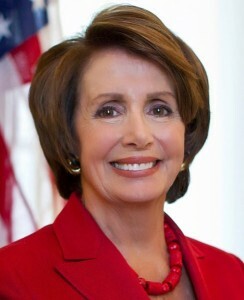 As previously reported, the Planned Parenthood Federation of America recognized Pelosi with the Margaret Sanger Award for “her leadership, excellence, and outstanding contributions to the reproductive health and rights movement over the course of her career.” Sanger founded Planned Parenthood in 1921, which was originally known as the American Birth Control League. She later changed the name as some found it offensive. New York City Mayor Michael Bloomberg was also present at the gala, receiving the Planned Parenthood Global Citizen Award, as well as “minister” William Barber II, who leads a homosexual advocacy and social justice organization called “Moral Mondays” in North Carolina. Bradley Bredeweg of the ABC Family show The Fosters, a sitcom that centers on children being raised by lesbians, also spoke at the event. Others present at Planned Parenthood’s gala included singer Mavis Staples, comedian Tig Notaro and BET’s Vice President of Public Affairs Sonya Lockett.